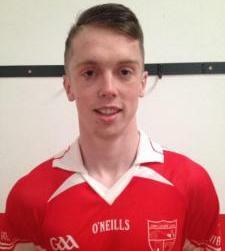 Hairstyle specialist and whinging corner-forward, Liam Kearney is a Leaving Cert student in DLS Macroom. 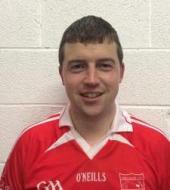 He made his Junior A Championship debut against Ã‰ire Ã“g in 2014. Liam's favourite food is steak, chips and gravy. His favourite TV show is The Simpsons while his favourite pastime is kicking points down the pitch. Liam also enjoys other sports such as snooker, soccer, hurling, basketball, hockey, rugby, running, polo and shooting. He considers his greatest sporting achievements to be winning the Under 21 B Football County Championship in 2012, winning 3 Minor East Cork Finasl in a row & winning 2 Minor County Championships in a row. His best club memory is winning the Under 21 County title in 2012 and spending his money during all the Inchigeela Festivals to date. Liam believes Brian Hurley to be the best player he has ever seen. If Liam could change one thing in GAA - it would be to increase the length of the games to 35 minutes a half. When he was younger, he wanted to be a professional soccer player - a dream which is long gone. The person he'd most like to meet is Bob Marley, while he considers the best invention ever to be Snapchat. Marooned on a desert island, Liam could also not be without Snapchat. You may not know this Liam is secretly good at pulling women(Yeah, right!). Liam would also like to add that he's a single man that is looking for a woman so if you like what you see - find him on Facebook or Snapchat. Add him on Snapchat now: liamkearney7.